Overhaul Games' upcoming Baldur's Gate: Enhanced Edition is going mobile, and we've got the screenshots to prove it. It wasn't too long ago that the mysterious countdown timer on BaldursGate.com ran to its end, culminating in the announcement of Overhaul Games' upcoming Baldur's Gate: Enhanced Edition. 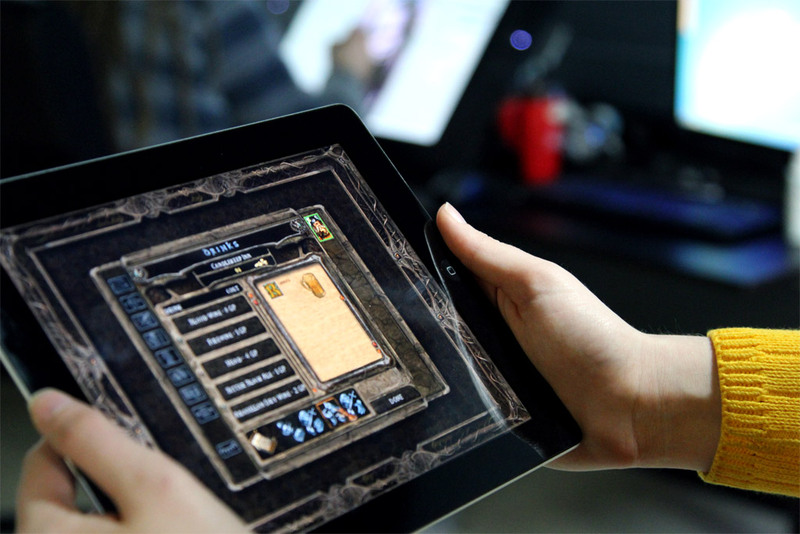 There wasn't much info available at first, but eventually we learned that its retooling of 1998's milestone RPG is set to include updated graphics, the inclusion of modern elements, a fresh set of quests, an unfamiliar party member, and now, a new home: Apple's iPad. Yes, yes, you can still grab the game for PC and old-school your way through FaerÃ»n, but those interested in exploring the lands with finger taps in place of clicks will now be given the chance to purchase on iOS this summer when the game is released. 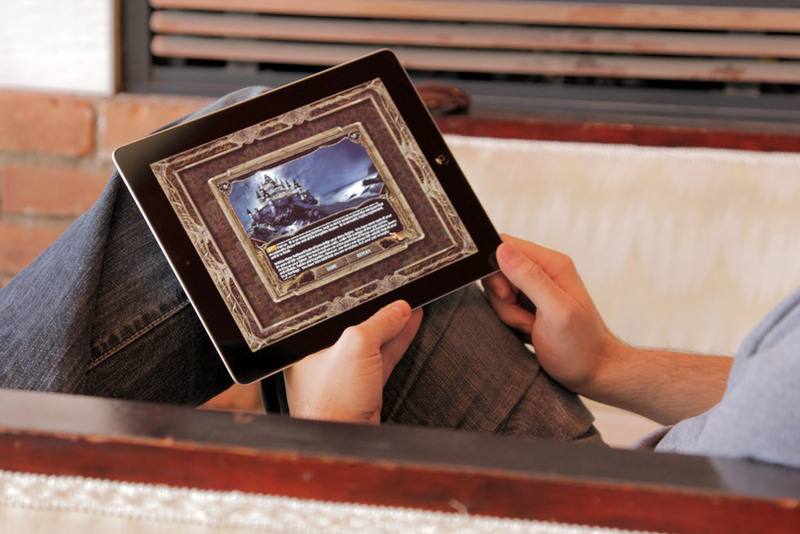 Content included in the iPad release seems to be the same as on PC, which Overhaul Games describes as "the entire Baldur's Gate adventure, the Tales of the Sword Coast expansion pack, and never before seen content including a new adventure and new party member." The announcement also comes with a set of the first screenshots we've seen for the game's Enhanced Edition. It's difficult to see much of import, but at least one of them seems to give a clear shot of what appears to be newly designed character models. The resolution also seems much higher than the original game supported, while the party members are shown more rounded and crisp. Other than that, things look pretty familiar. 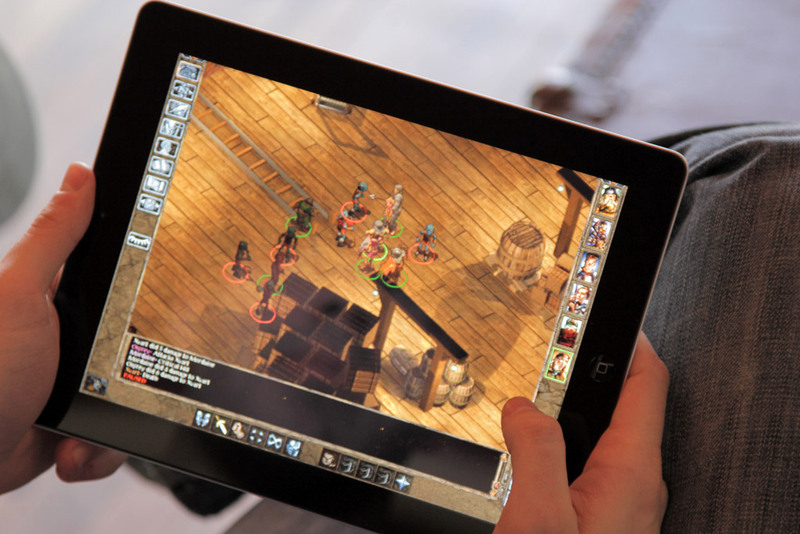 Though some may find such a port borderline blasphemous, the mechanics of a standard isometric RPG actually seem right at home on a touch device (as opposed to so many of the cockamamie "virtual controller" rig jobs we see on there for console games). Personally, I'm game for any excuse to pick up the old classic again, and if that happens to come with a new way of interacting with it as well? All the better. Is it too soon to starting hoping for a similar treatment for Fallout 1 and 2?